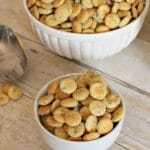 I made these Ranch Seasoned Oyster Crackers recently for a road trip we took with my brother and sister law. 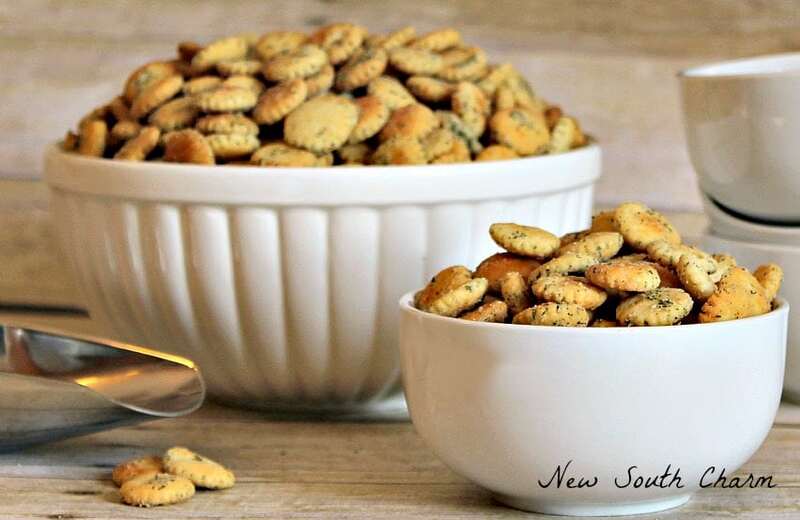 These tasty crackers aren’t just for long car rides. 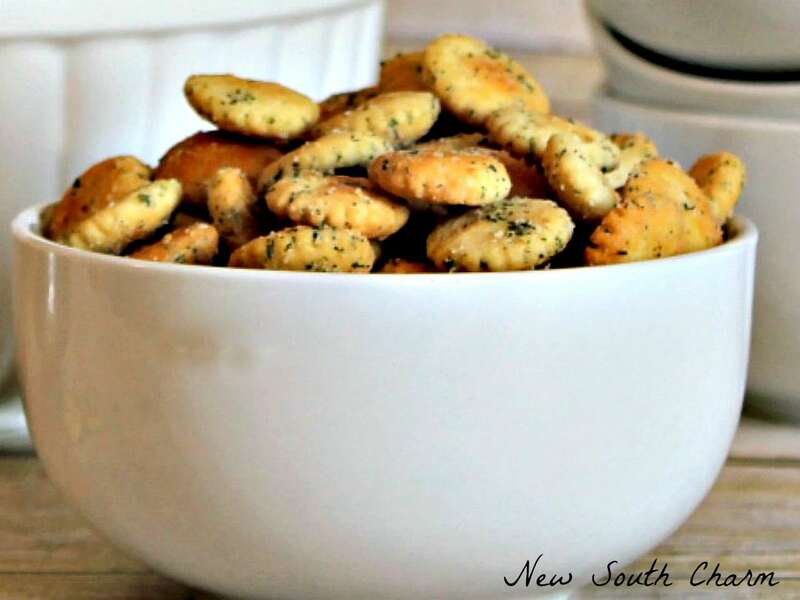 They are great for game night, football season, holiday parties or well just about any time. The first time I had these crackers was when I my grandmother made them to snack on during Christmas several years ago. They were so good I kept finding myself going back to the bowl for just a few more several times. Consider this a warning these little crackers are addictive. This recipe is really easy. I think it’d be a great recipe to let the kids help you make. Because there’s not a lot of complicated steps and no cooking on the stove. In a small bowl whisk together vegetable oil, dill weed, garlic powder, and one envelope of dry ranch seasoning mix. Then transfer mixture into a one gallon sealable bag. 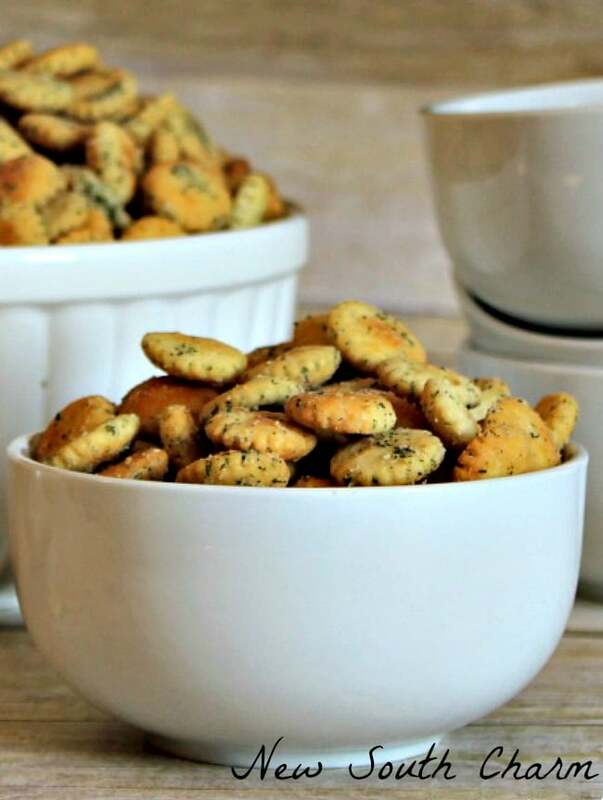 Spread crackers out in a single layer a rimmed sheet pan. I always line my sheet pan with foil. This makes cleaning up a breeze. Please crackers in a 250º preheated oven for 15 to 20 minutes. Honestly I don’t think I’ve ever gone past the 15 minutes but cooking time could vary so you’ll want to keep an eye on them. I usually double this recipe so that there’s plenty to snack on for a few days. I warned you there were addictive. Once you made some you’ll know what I mean. and garlic powder. Whisk until mixed throughly. Yum, these sound so good, wish I had a little bowl to snack on right now! Thanks for sharing at What’d You Do This Weekend?! Yum! My good friend’s grandma used to make these, and she recently served them at a house party! I forgot how amazingly addicting they are! I’m pinning, stumbling and tweeting this!